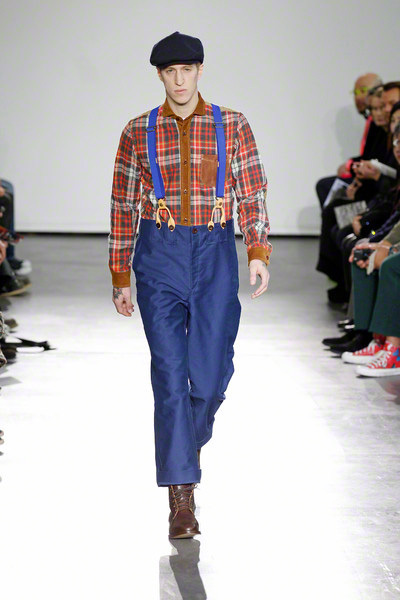 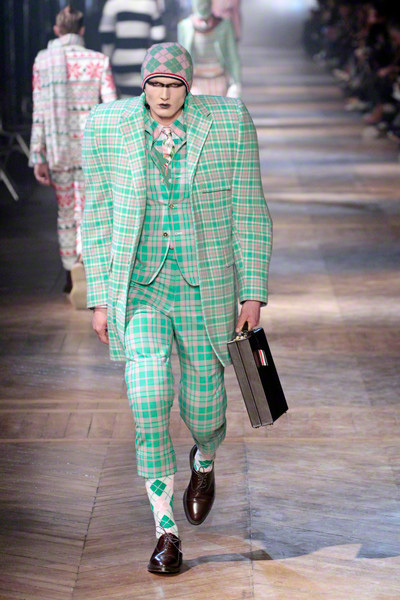 Farmers, gentlemen and clowns; they all strutted the international catwalks sporting checks. 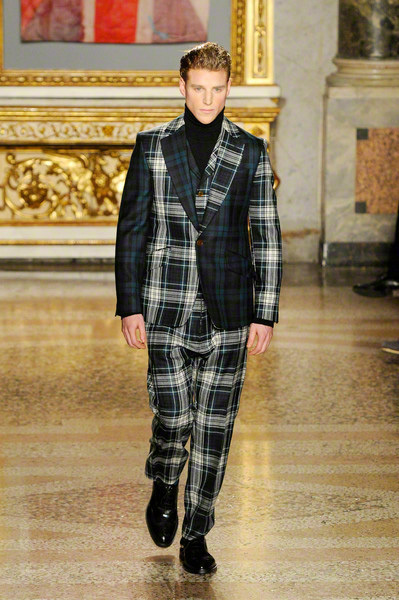 Not your average black and white though; checks and tweeds came in unexpected colors and shapes. 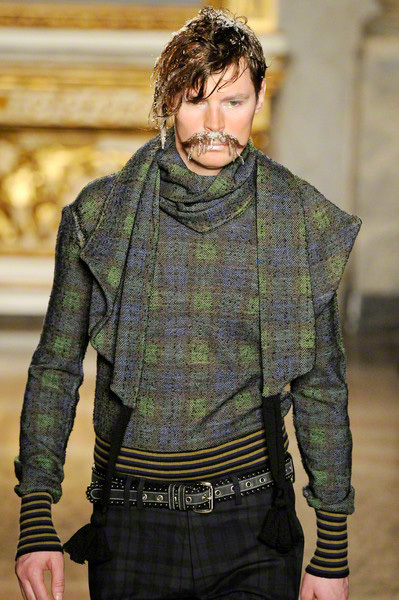 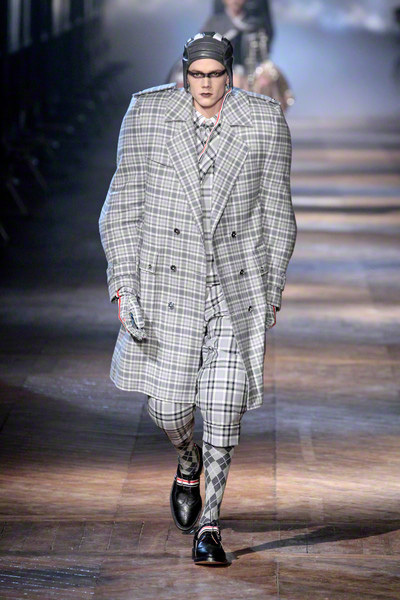 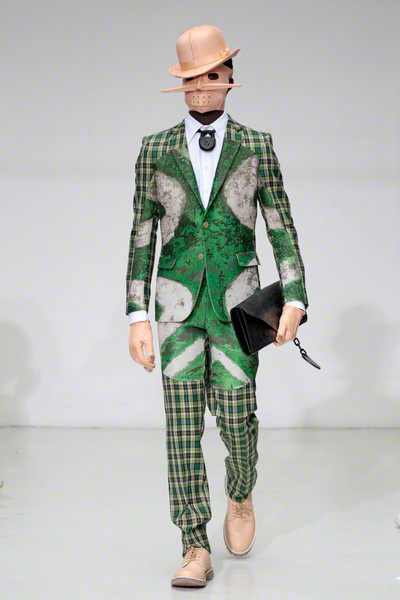 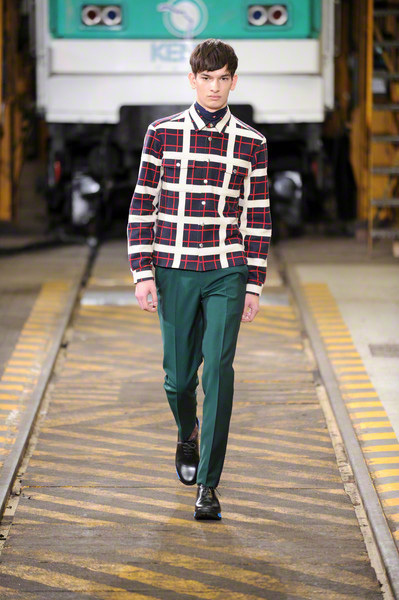 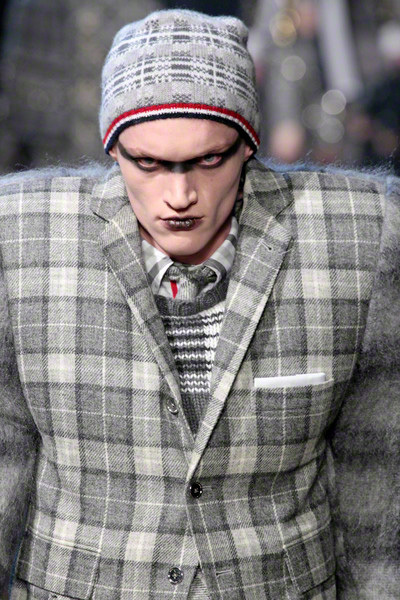 Tartan style at Van Beirendonck, Etro and Vivienne Westwood. 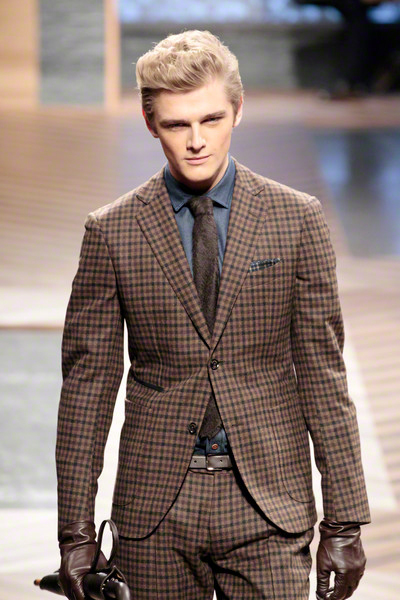 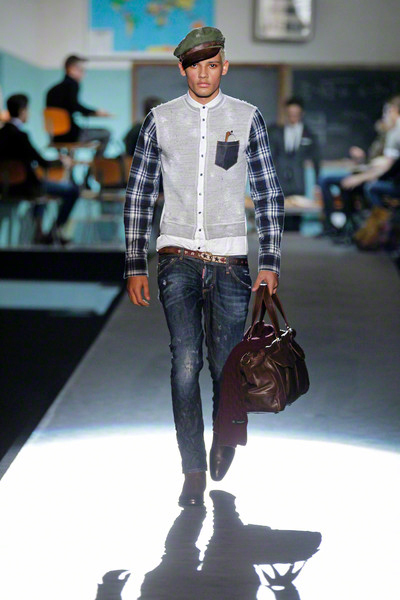 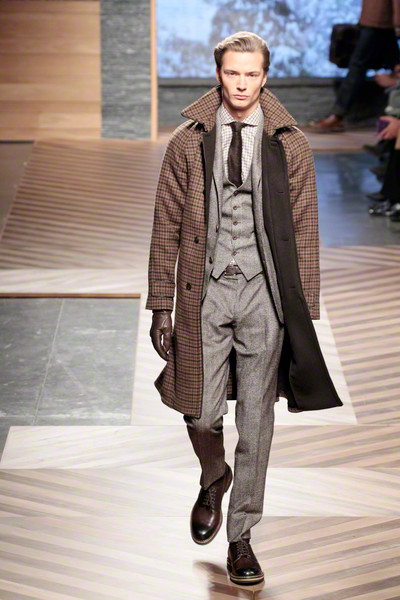 Country inspired at Burberry and Zegna. 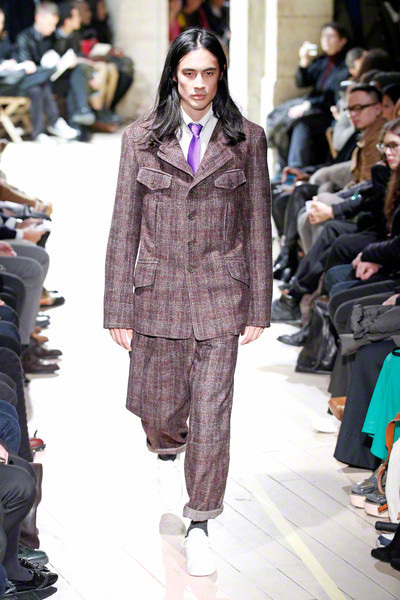 Oversize at Browne and Yamamoto. 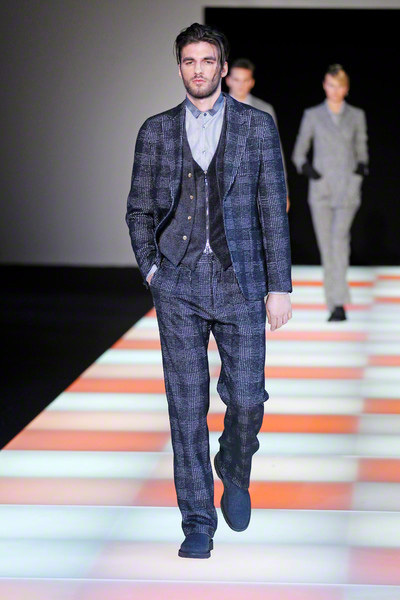 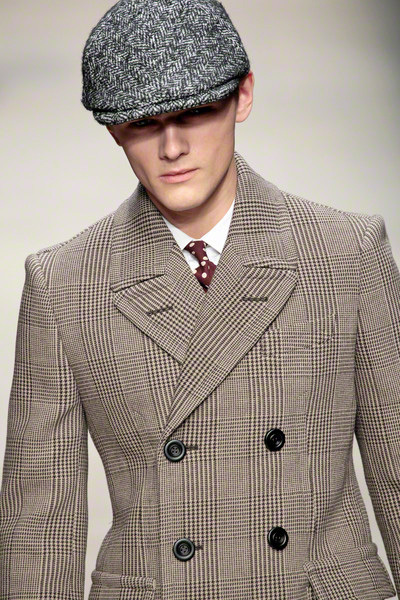 Opt for a head turning effect in a complete checked suit and matching hat like Browne, Von Assche and Yamamoto. 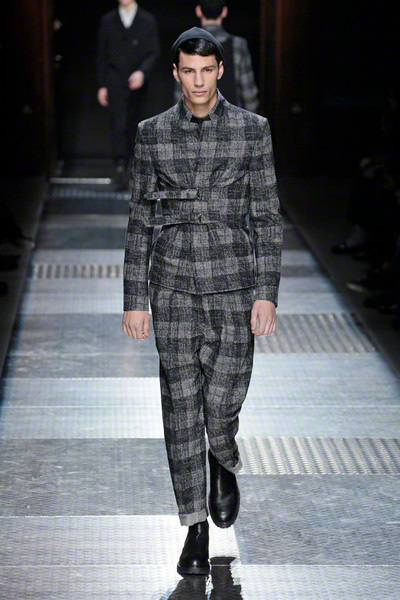 Or work this trend more subtly in small checks (Burberry), perhaps just a modest touch of the print popping from under a sleeveless vest (Dsquared)? 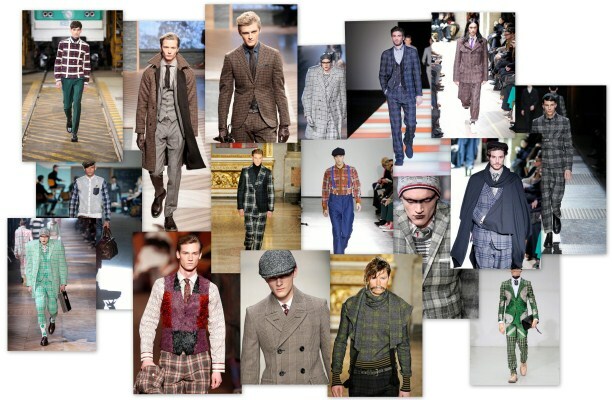 Working some tweed or checks into your wardrobe is never a bad idea. 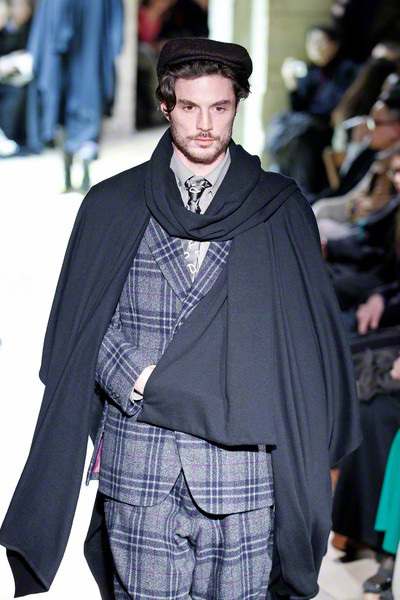 Besides, even a checked handkerchief can make you part of this gentlemen’s club.